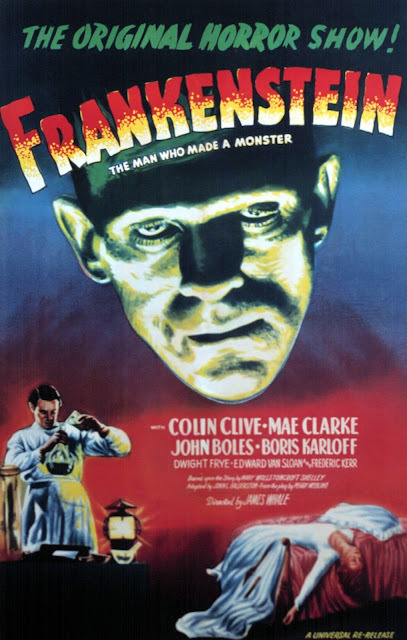 I can't even begin to tell you how much I love everything about "Frankenstein", even with this poster I can play the movie in my head and the images on the poster itself come out at you like a pop up book. I can only imagine how powerful this one sheet was back in 1931, I know for a fact it would have drawn me into the cinema more than once. This is what you truly call art, the colours are so eye catching.